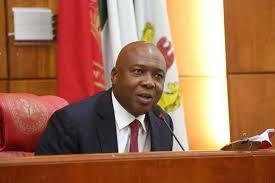 Saraki cautions against overheating polity as Elections draw near – Royal Times of Nigeria. 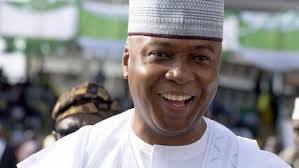 The President of the Senate, Dr Bukola Saraki has cautioned politicians against overheating the polity ahead the general elections. Saraki made this call while delivering his welcome speech at the resumption of plenary today. He said it is important for political leaders to help reduce tension in the polity by contributing to an atmosphere of moderate political conversations. The senate president further called on the Executive to uphold the Constitution and its tenets, noting that the exercise of power must be done in the best democratic principles. On the role of the Judiciary in promoting justice and bringing respect to the country, Saraki said there is a need to respect it as an arm of government. The president of the senate called on the Independent National Electoral Commission (INEC) to quickly look into the claim that politicians are buying uncollected Permanent Voters Cards (PVCs) for use during the February elections. Saraki also urged the electoral umpire not to spare any sacrifice that would ensure the conduct of free, fair and credible elections. He encouraged all Nigerians to participate in the coming polls and while wishing all a safe 2019 election. Saraki assured Nigerians that despite heightened political activities leading to the general elections, the National Assembly will continue its legislative activities.